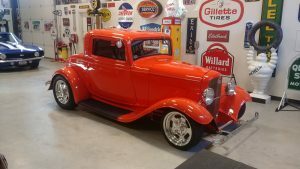 For 10 years, the High Rollin’ Hot Rods car show has been full of fun and awe for pushrod owners and fanatics from near and far. 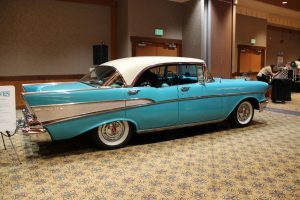 Join in on two days of spectacular cars, games, and prizes at the Quinault Beach Resort and Casino (QBRC) on Friday, April 26, through Saturday, April 27 in Ocean Shores. The QBRC welcomes guests to come and check out these impressive hot rods and experience everything else that the casino has to offer, from the casino games to the vast dining options. With Spring in full swing upon the coast, Ocean Shores is more welcoming than ever and the QBRC sweetens that welcome with the enticing offer of a two-night stay for only $299 for dates between April 26-28. This special deal is based on availability, so don’t hesitate to reserve a room. For only $20 more, upgrade to an ocean view room and watch those stunning sunsets in style. There will be cash and prizes galore throughout the event with $3,000 being given away that is sure to make guests feel like they have hit the jackpot. It is also the perfect time to test out those poker skills at the Poker Run on Friday from 1:00 p.m. to 4:00 p.m. and then explore the loads of other casino games at the QBRC for the chance to play the night away with friends and claim a big win. Guests can also expect a delicious assortment of food and drink specials, along with live entertainment for a memorable stay. Event goers will also have the chance to meet Lance Lambert from the Vintage Vehicle Show. Lambert has seen it all as the host on the show, taking viewers to see everything from the biggest and best car shows in America, to museums and private collections owned by celebrities. To see some of these snazzy automobiles and get the inside scoop, view full episodes on their YouTube channel. Lambert has also released a book titled Fenders, Fins & Friends: Confessions of a Car Guy and people won’t want to miss out on the chance to hear what he has to say about his lifelong adventure as a car enthusiast. For more information on Lance Lambert, take a look at his official website. 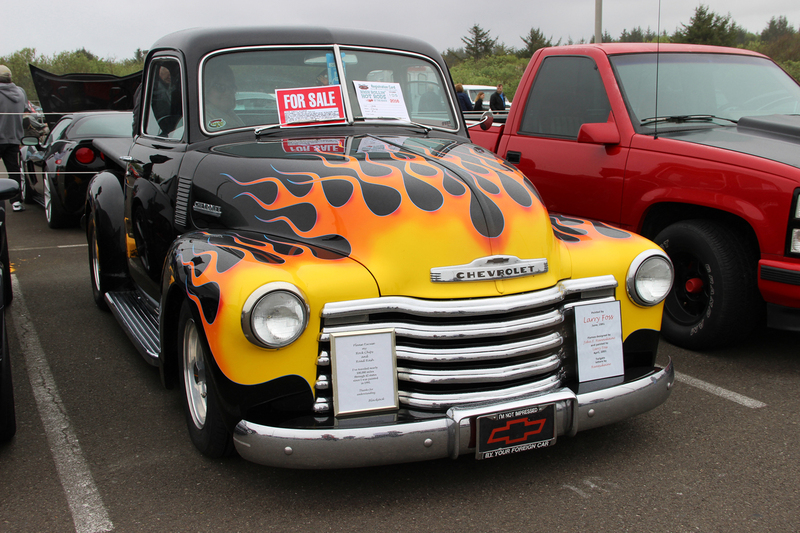 The Pushrods of Hoquiam Car Club first started in 1953 by a group of local friends that shared an interest in cars. Today, the club is still going strong with new generations sharing the same enthusiasm for cars and racing. The members have a heart for their community and work to raise funds for Grays Harbor Community College for students in automotive or business interests, the Aberdeen High School Auto Shop, Meals on Wheels, and Domestic Violence Center. Joining in on the event is not only fun, but helps the coordinators, the Pushrods of Hoquiam Car Club, raise funds for local charities. For those interested in registering a car at the show, pre-registration is only $15, or $20 the day of the event. Registrants will receive a goodie bag, dash plaque, and entry in the door prizes that are drawn every 15 minutes. 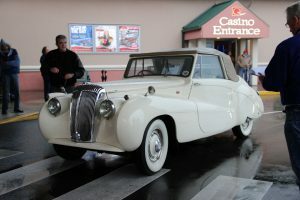 Check-in for the show begins around 8:00 a.m. with the shows concluding between 2:00 p.m. to 3:00 p.m.
Last year brought on a little rain, but over 100 cars were still there to show off their purring engines and eye-catching paint jobs. So, rain or shine, people can expect lots of bold and beautiful cars to admire. Along with the shiny views at the car show, the QBRC is a great place to kick back and enjoy the ocean breeze. Whether people are staying overnight or just for the day, the accommodations available are sure to please. The gift shop within the casino has everything from snacks to breathtaking jewelry and other trinkets to pick up. For coffee lovers, there is Fireside Coffee and for those who have worked up a full-on appetite, there’s Emily’s fine dining oceanfront restaurant, buffets, the Ocean Lounge and the Sidewalk Bistro with meal options from sandwiches to fresh seafood. Staying overnight? Wind down the day with a swim in the spacious indoor pool or relax in the hot tub. Top that off with a massage session from the QBRC’s spa services available from 10:00 a.m. to 6:00 p.m. by appointment to feel refreshed for another day of car show fun. For more information on the QBRC’s accommodations or to take advantage of the room special, visit the official Quinault Beach Resort and Casino website or call 1-888-461-2214. For more information on the High Rollin’ Hot Rods event or to register, visit the Pushrods of Hoquiam official website, the Pushrods of Hoquiam Facebook page, or contact Denny of the Pushrods at 360-581-9911.